This is a rectangular Monitor Stoves and Ranges porcelain sign. This particular Monitor Stoves and Ranges sign is white with black print. 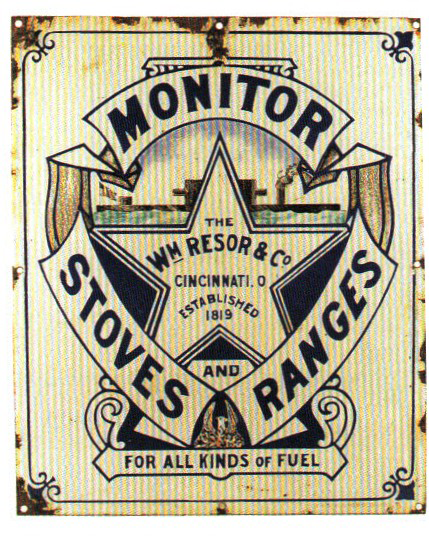 It reads, “Monitor Stoves and Ranges, For All Kinds Of Fuel, The Wm. Resor & Co, Cincinnati, O., Established 1819” and features a large star in the center.